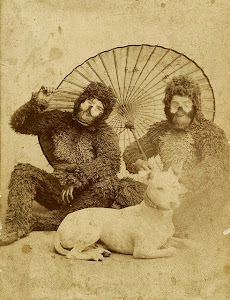 Happy National Gorilla Suit Day ! 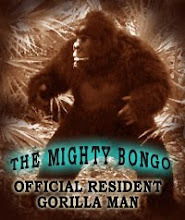 Grab your gorilla suit and join the fun !!! 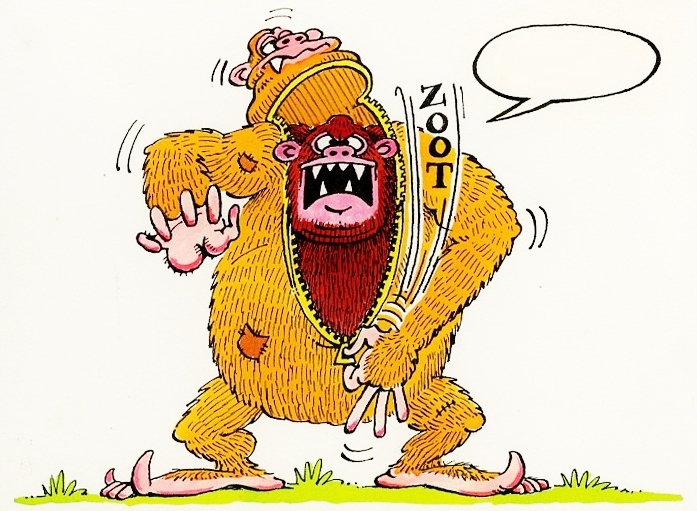 We would like to thank the late great Mad Magazine artist Don Martin for creating this important Holiday ! 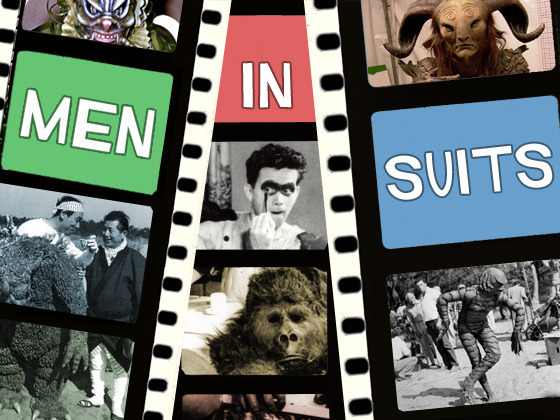 Men in Suits....a brilliant documentary! then this is the documentary for you ! I got this incredible film from my dear gorilla brother Kogar as a gift, and I can't stop praising it. are brilliantly spelled out through a series of interviews by the biggest names in the business. Not only does writer/director Frank Woodruff introduce you to a host of modern practitioners of this fantastic art form, but you are also treated to the reminisces of some of the legendary monster masters as well. 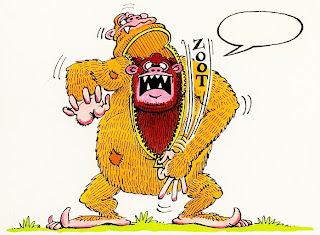 Men who's creature alter egos have terrorized and thrilled audiences for over 60 years! And who are these mad men? On film you may know him as Godzilla, but now you can meet Haruo Nakajima, and hear his stories of destroying Tokyo as not only Godzilla, but many of the other famous Toho Studios monsters as well! You will also hear hilarious tales of monkey madness, with master Gorilla Men, Bob"Kogar"Burns, John"Gorillas in the Mist"Alexander,and Don"American Tourister" Mcleod. Don's story of his gorilla's encounter with Minnie Mouse, is worth the price of the disc alone! There is touching tribute to the monster men of old as well, men like Charles Gemora, Ray"Crash"Corrigan, Ben Chapman, Regis Parton, George Barrows, and a host of others too numerous to list here. You will also be introduced to the new generation of the creature crew in the likes of Doug" Abe Sapien"Jones. Tom "Aliens"Woodruff Jr., Misty "Congo"Rosas, and the really big guys, Doug Tait, and Brian"Hellboy"Steele. Witness the creation of a state of the art creature called Abominog, from the casting of actor Douglas Tait, to footage of the actual filming of this awe inspiring eight foot terror from the depths of hell! 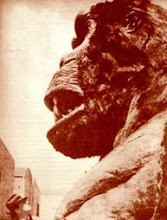 If you see a creature in a current film, that's over seven feet tall, it's likely Douglas Tate, or Brian Steele! 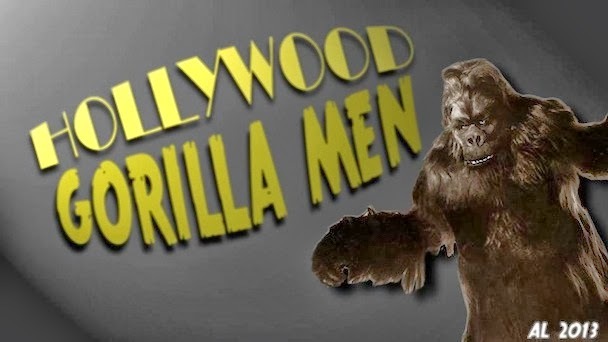 But this being a site about Gorilla men, I am of course, a bit biased toward the furrier members of this crowd, and Gorillas are well represented ! 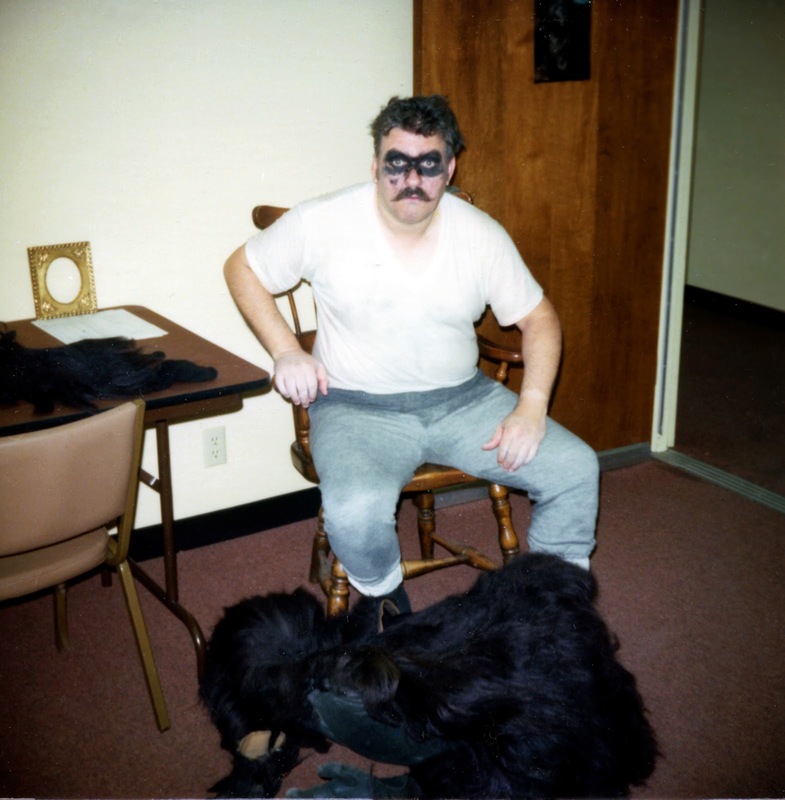 Besides the legendary Gorilla Man Bob Burns, you get the equally legendary Don Mcleod, you get current monkey masters, John Alexander and Tom Woodruff Jr.! And as a special treat, we'll meet Hollywood Gorilla Woman, Misty Rosas! There is a great deal of behind the scenes footage of these great actors doing what they do best, and keep a sharp eye out for Verne "Mini-Me"Troyer as a Baby Gorilla in footage from the movie "Instinct". This film runs the gamut from rampaging reptiles to Robby the Robot, from Creature from the Black Lagoon, to Alien. If it's ever creeped, lumbered, slithered, swam, flown, or loped across the screen, chances are you will find the guy who played it here! Your gonna love it, it's Gorilla Men approved! Labels: Bob Burns, documentary, Don Mcleod, Haruo Nakajima, Men in Suits, Tom Woodruff Jr.
Hey my manic monkey minions ! 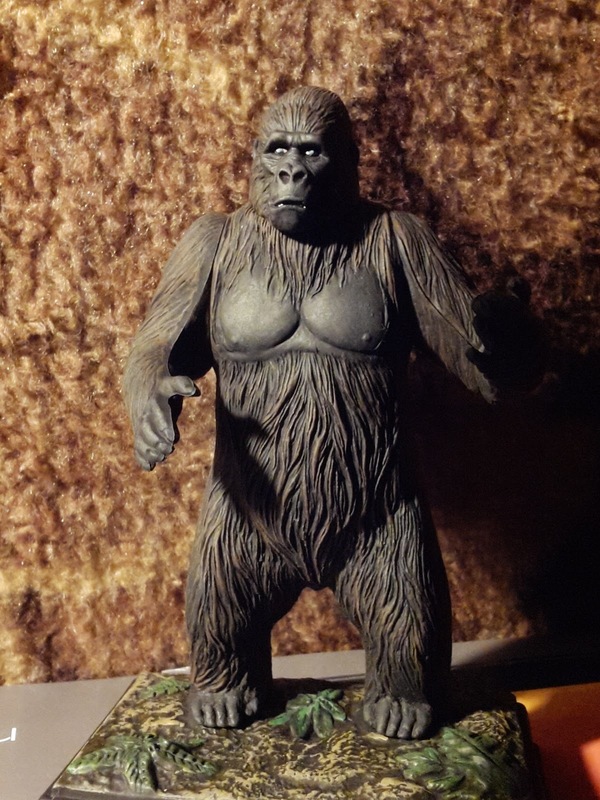 That's right, another gorilla in my midst, in the form of a fantastic 1/12th scale model kit from Moebius models ! The beauty of the kit ( other than the fact that it's my buddy Bob Burns) is that it's actually 3 kits in one ! 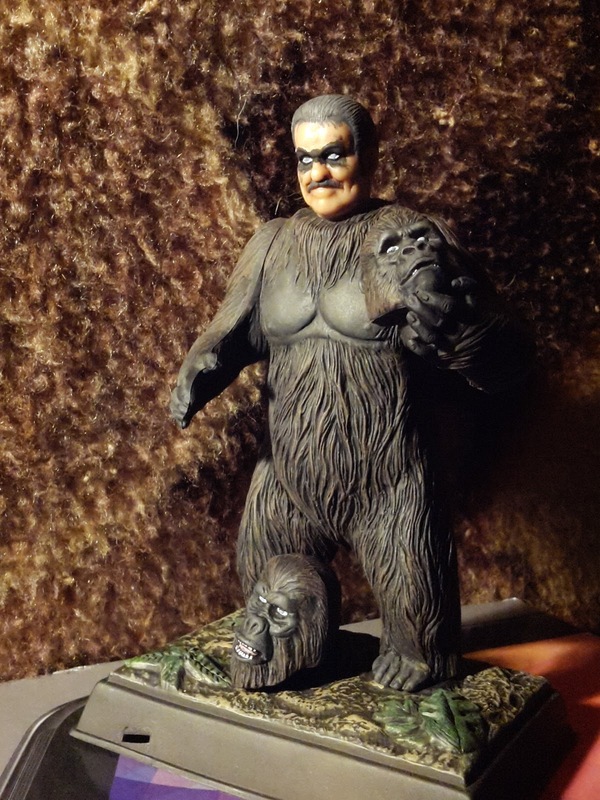 the kit comes with the basic Kogar body, Bob Burns happy smiling face, Kogar, and all time fan favorite...Tracy the gorilla !The sculpting is top notch and perfectly captures all the likeness's. The level of detail is incredible, and even more so when it's on a kit little more than 6 inches tall ! Mobius has re-issued both of these classic lines of kits, and brought them to a new generation of fans. But back to the fun ! The kit is a very simple build, in a snap together format. It builds up quite quickly, and for a snap together, it has nice tight seam lines. You can of course glue and finish it to your hearts content. the three heads AND an extra lower left arm, for straight and bent arm poses. Also not gluing preserved a certain nostalgic feel I had from building "Monster Scenes" kits as a kid. 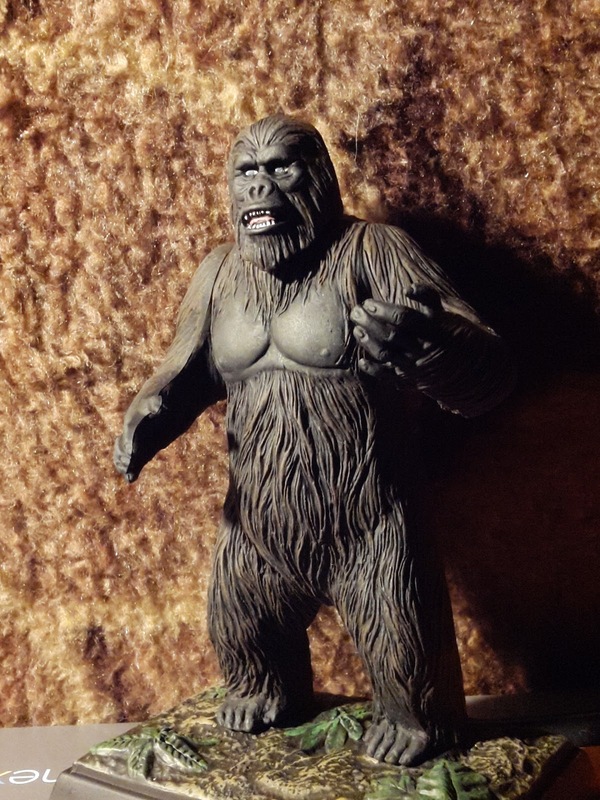 I choose to build old Kogar as he would have appeared in the early 70's when Bob was playing Tracy the gorilla, in the classic Saturday morning television series, "Ghost Busters". "Kong"Tucker , and Larry"Spenser" Storch. Using photos of Bob from the filming,I settled on a shot that perfectly captures the true heart of a Hollywood Gorilla Man. Bob sitting serenely in a chair, covered from head to toe in sweat, black eye make-up smudged, and Tracy's fur suit at his feet. 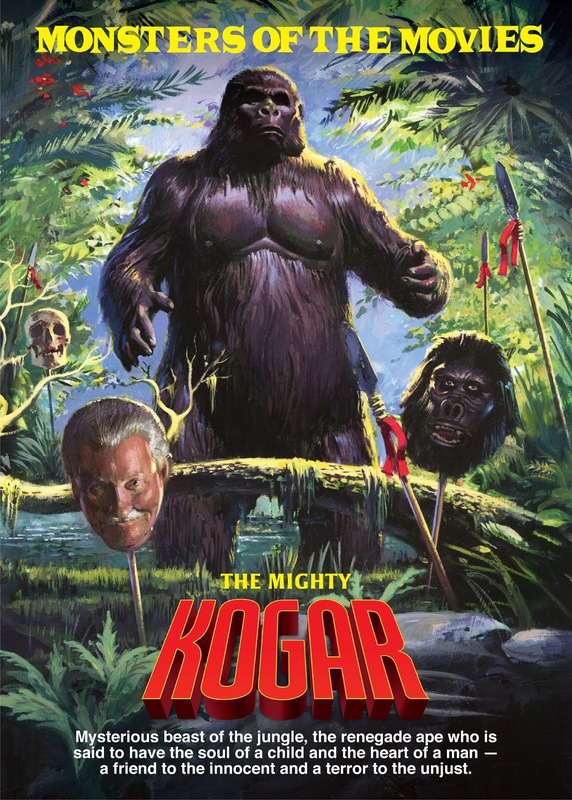 Having been in the same position many times, this photo struck a special chord with me, and I knew instantly that this would be the face of my Mighty Kogar model ! I later added an acrylic sculpting gel to mini-Bobs hair to give him the messed up hair from the photo. I'm quite happy with the way it turned out, and Bob was quite amused and pleased by the photos of it I sent him. I want to extend a special thanks to Frank Winspur of Moebius models and Steve Iverson from Cult TV man. Without the efforts of these gentlemen, and a shared fandom of Bob and Kathy Burns, these great kits would not have been possible. You can get this great kit for yourself here ! tell 'em Bongo sent you !